Pete A. Sanders Jr. is an honors graduate of Massachusetts Institute of Technology. He majored in Biomedical Chemistry (minor in Brain Science). Accepted to attend Harvard Medical School, he chose instead to pursue independent research into the human mental, physical and spiritual potential. After traveling the world for five years field-testing the breakthroughs he discovered at M.I.T., he settled in Sedona and founded Free Soul, a NonProfit Mind/Body Education Program. 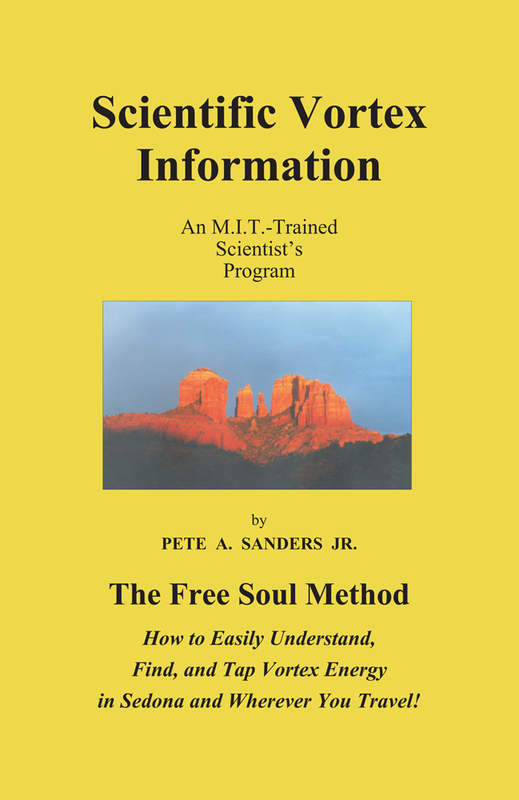 Free Soul is fully federally certified as Tax-Exempt Public Education designed to help people learn to be their own teachers in their mental and spiritual frontiers. Pete A. Sanders Jr. is the author of the New Age bestseller You Are Psychic!, as well as Access Your Brain's Joy Center and The Dynamics of Being a Free Soul Comprehensive Course. In 1982, in response to student requests, he developed a unique approach for understanding vortexes and easily tapping their energy.